In a stern reminder to the Executive of its constitutional responsibility in exercising the power of pardon to convicted persons, Supreme Court today warned the Central and state governments against recommending clemency petitions on political, religious and caste considerations and said such trend was fraught with dangerous consequences. 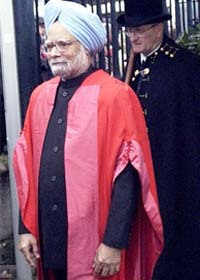 Manmohan Singh at the special convocation of Cambridge University on Wednesday. In a scathing comment on the lackadaisical attitude of the government vis-à-vis suicides by debt-ridden farmers, the Punjab and Haryana High Court has observed that the “government is taking no remedial steps to save poor farmers from committing suicides”. Aedes Egypti mosquito, which causes dengue and chikungunya, is giving the public, doctors and Health Ministry officers a tough time. The spat between the Indian Air Force and the Army over former Air Chief A.Y. 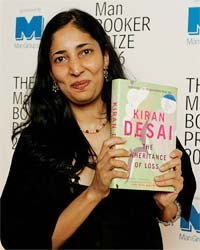 Tipnis saying that the Army was reluctant to inform the government about the intrusion by Pakistan in Kargil and that it did little initially to jointly plan and evict the intruders. Terming as “unfair and misplaced” the criticism in India against Prime Minister Manmohan Singh for reaching an accord with him to set up a joint mechanism to deal with terrorism, Pakistan President Pervez Musharraf today said back-channel talks were on between the two countries to resolve the Kashmir issue. A police constable went berserk and allegedly gunned down three persons, including a colleague, near a temple at a village on the Rajasthan-Uttar Pradesh border today.